I’m frequently told that I have a ‘unique’ taste. I’ve always opted for things that are a little different. Whether that’s décor pieces or a jumper that’s so 2005 but I love it anyway. I’m in my element if I walk into someone’s home and my eyes are darting all over the shop because there’s just so many cool things to look at. I adore taking it all in, feeling different textures, the glares of colours and that piece that makes you look twice. That’s my goal when somebody walks into my home. I want them to be fascinated. To ask questions about the artwork, to ask where I got things but most importantly that no matter how much time I personally spend in that room my eyes still span the room because everything is so intriguing. 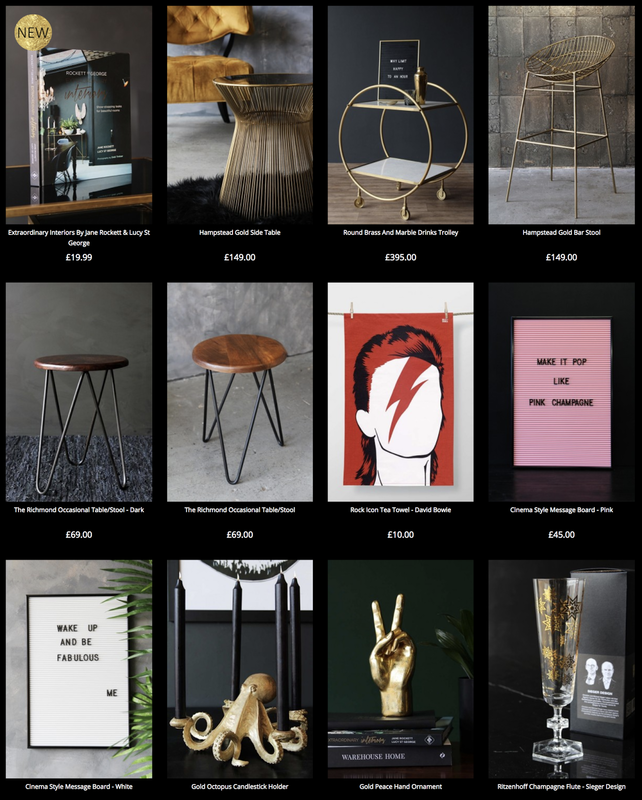 I’ve Googled ‘unique places to buy homeware’ on countless occasions – nothing decent ever crops up. But ladies and gentlemen, the search is over, check these bad boys out. Rockett St George has some expensive pieces but its okay to treat yourself to the odd piece or if you’re minted then buy it all, knock yourself out. I would kill to own the faux fur cow sofa (of course, it’s not real cow skin) but at £750 for a two-seater sofa sadly I can’t just go out and buy it. Well, I could but that means I wouldn’t be able to eat for nearly a month. When I get my own place I’ve spotted some really cool wallpaper on here which is the closest one I have seen that actually looks like brickwork. I love the way brick walls look in a home. That industrial vibe just thrills me. Some of the décor on there is, I won’t lie, a bit bizarre and somewhat creepy but I’m obsessed with the majority. 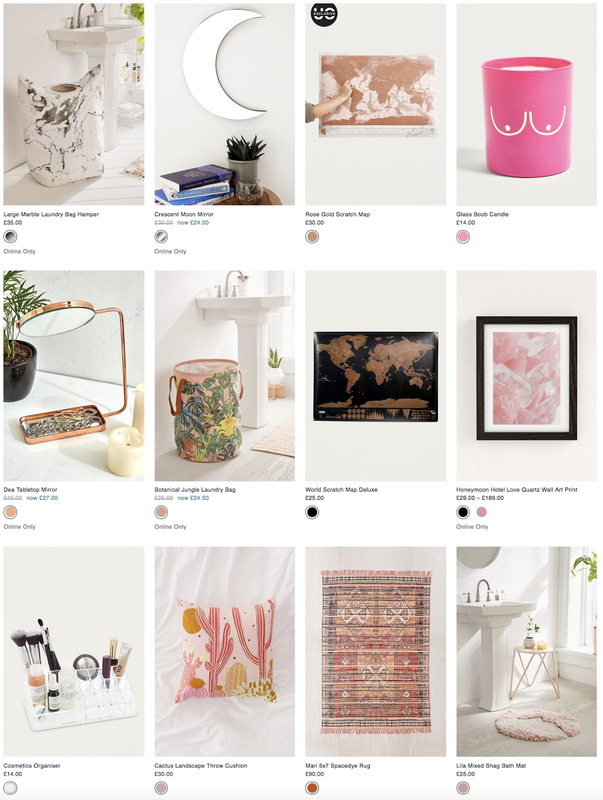 I found – and you may be similar – but when I was on the hunt for homeware I wouldn’t think to look on clothes websites and oh how naive I was. Urban Outfitters is the Queen of quirky décor, gadgets and sells records and other vintagey pieces. Personally, I’m obsessed with their mugs, kitchen gadgets and the accessories they offer. 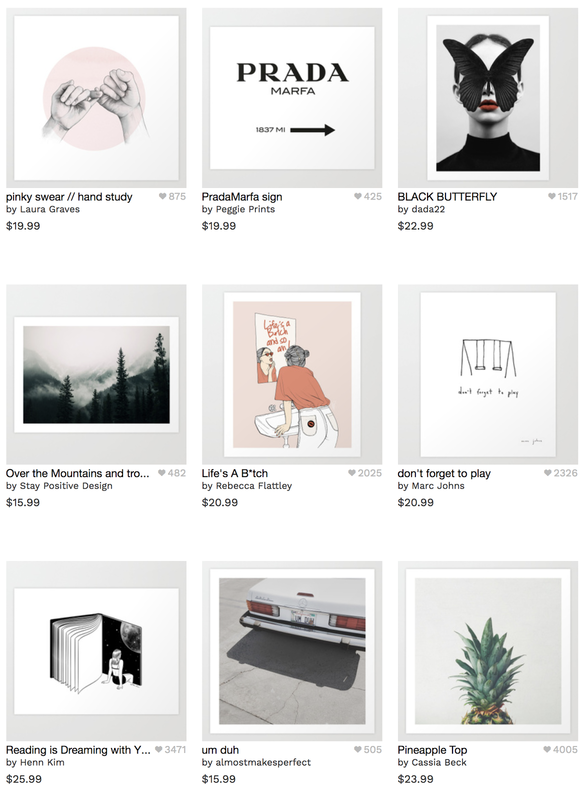 If you don’t mind ordering from America and possibly facing custom chargers then you need to check out Society 6. From bath mats, clocks to blankets you can buy anything for your home featuring a cool art print. Any artist can sign up to the site and sell their work so you’re also helping artists pay their bills which is amazing. I’ve got loads of things off the site such as my tapestry, prints and my throw that sits on my bed. I always get compliments on them and without fail visitors always ask where they’re from because they are so different to what is in the mainstream shops. 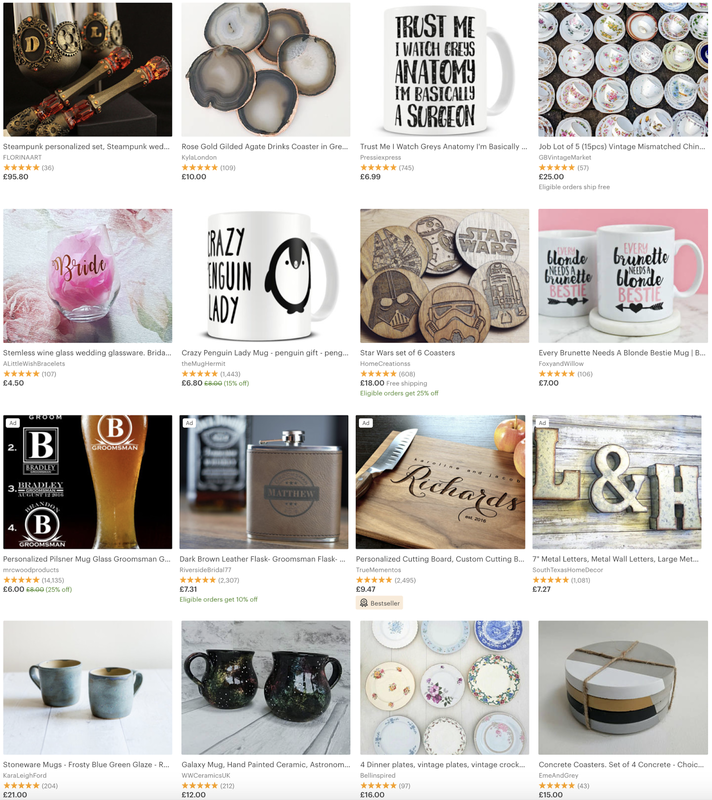 If you’re after something really personal, perhaps with your name on it or a saying of your choice, then Etsy is your best bet. I’m looking to get my dogs some personalised bowls because you know, I’m sad. Not to everyone’s taste and some may think it’s ‘childish’ or ‘nerdy’ but Disney and other merch make for great home décor. 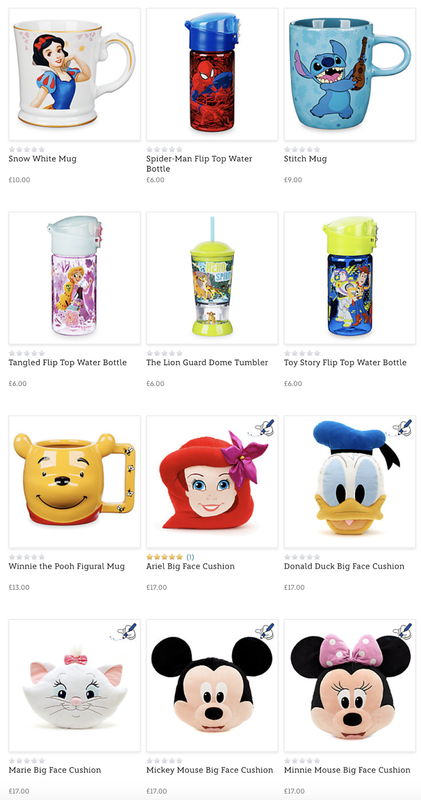 I have so many mugs from the Disney store 1) the quality is insane, 2) they look cool on a coffee table (priorities). For my fellow geeks out there Forbidden Planet is great for figures and GeekCore is the one for gadgets. 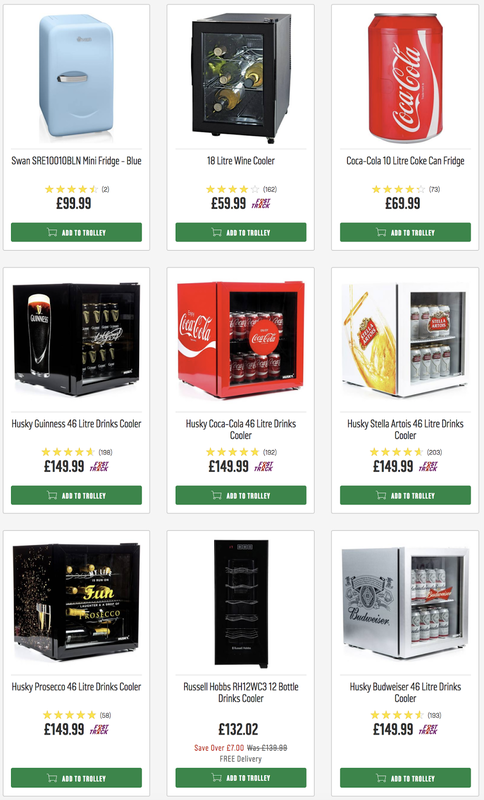 Now, Argos isn’t the most exciting and 99% of their stock is the same as the rest of the high street but they kill it at the mini fridge game. Mini fridges give any room (except a bathroom) such a cool retro vibe. The Coca-Cola one would be so eye-catching in a kitchen or chill out room. 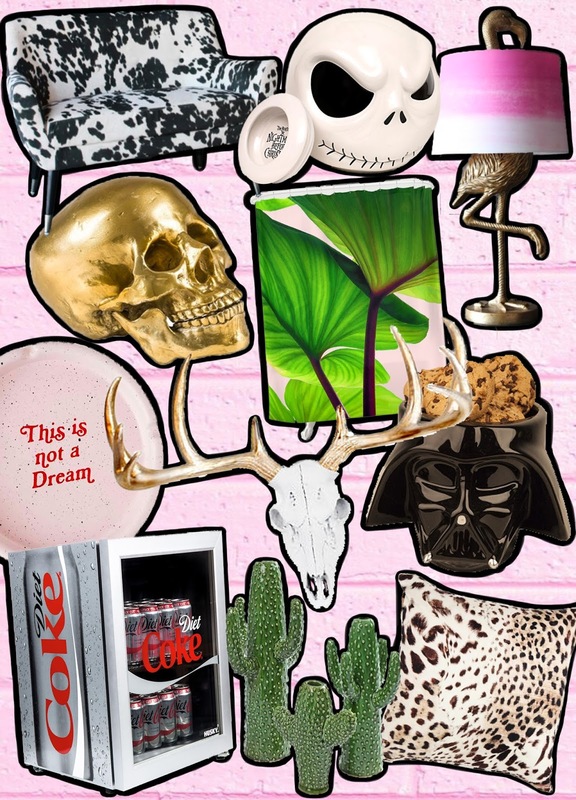 Picture it against the brick wall wallpaper from Rockett St George, some neon signs and the cow print sofa and BAM! you have the perfect retro space.